Question is, do you care? BlackBerry may be tech's fallen titan but the struggling Canadian company is planning a new flagship phone for one more roll of the dice. BlackBerry has hinted that several new devices are under development and the forthcoming handsets will be split between all-touch and QWERTY keyboard inputs. Speaking about its plans for the rest of the year, BlackBerry chief executive John Chen said one of the devices is of “flagship material”. Exciting stuff. But the real question is has BlackBerry's ship sunk after sales hammerings from the likes of the iPhone 5S, HTC One and Samsung Galaxy S5? 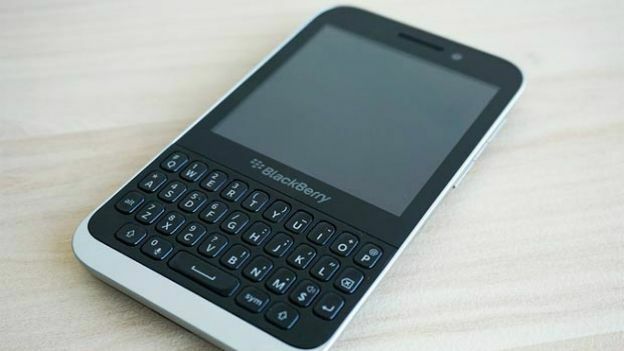 Commentators have suggested that the smartphone Chen is referring to is the keyboard sporting BlackBerry Q30 Windemere or the Q20 BlackBerry Classic. The latter was announced at Mobile World Congress earlier this year. At the time, it was said to have a late 2014 launch date. Another interesting tidbit to come out of Chen's comments is that BlackBerry currently has no plans to launch a wearable gadget. Would it be the quick fix turnaround that BlackBerry could do with? Let us know in the comments below or on the T3 Facebook page.